Smorgasbord Health | Retired? No one told me! Beef Bourguignon is an old family favourite and a lovely dish if you have a few friends around over the Christmas period it is a one-pot dish and cooks itself. Exciting for me hence the title of my blog, Retired No One Told Me! I am having a wonderful ride and don’t want to get off, so if you wish to follow me on my adventures, Welcome! I hope you enjoy the ride also and if it encourages you to take a step into the unknown or untried, you know you want to…….Then, I will be happy! This entry was posted in Carol Cooks2, Carol's Cookery column on Smorgasbord, Christmas Pudding, christmas recipes, christmas traditions and treats, Cook from scratch, Retired No One Told Me! Weekly roundup!, Uncategorized and tagged Christmas Pudding, christmas recipes, christmas turkey, How to cook a turkey, Mince Pies, Naga Chillies, Sausage rolls, Smorgasbord Health on December 16, 2018 by CarolCooks2. About Smorgasbord – Variety is the Spice of Life. Welcome to Saturday’s weekly roundup there has been lots going on this week as well as the rain ( it is) low season but it is quite welcome as it cools it down a little I am getting quite good at sleeping with the steady drips from my leaky roof in my ears. ( yes) still leaking and they came to mend it this week.. If anyone has any ideas of torturing me by water …Forget it! So feet up, drink to the ready are you comfy? Let’s Go! Anyway enough of water and rain as I know many of you are praying for rain which I hope you are blessed with very soon… First off this beautiful looking protein drink. Next, was a little tutorial for you on how to make perfect pork crackling every time… Now who doesn’t love a bot of Pork crackling? Next an interview over at Debby’s with the lovely Sally who tirelessly helps all of us by promoting our books and blogs…I give you Sally Cronin. Sally then kindly reblogged one of the posts from my archives, Travel Thailand and Heaven and Hell… This image is the tree of life women hanging like flowers. Yesterday here in Thailand was the celebration of the biggest festival of the year Asanha Bucha day. A day when offerings are taken to the temple and often candles and lots of sermons and prayers. Another unusual fruit the Red Banana which was given to us to try they are very nice slightly different to the normal banana for more info click the link. This entry was posted in Carol's Cookery column on Smorgasbord, Cooking from scratch, How to make perfect Pork crackling, No powders...Home made Protein drinks, Papaya and Custard Apple Protein Drink, Retired No One Told Me! Weekly roundup!, Uncategorized and tagged Papaya and custard apple protein shake, Pork Crackling, Protein Shakes, Smorgasbord Health on July 28, 2018 by CarolCooks2. Smorgasbord Health 2017 – Leprosy (Hansen’s Disease) – A modern miracle. The mere mention of the word leprosy strikes fear into most people – probably because of the images we have seen over the years of sufferers, stigmatised and restricted to colonies where many of them died before treatments became available. There have been some recent cases in the UK and Ireland but all have been treated successfully and were diagnosed in patients who had lived abroad from several years in countries where the disease still exists. There were three cases reported in 2015 in Florida and two were linked to the nine-banded Armadillo, a native of South USA, that is suspected of carrying the bacteria. This entry was posted in Leprosy, Leprosy and Armadillos, Uncategorized and tagged blogging, Leprosy, Smorgasbord Health on September 22, 2017 by CarolCooks2. Now you all know how much I love my daily drink of fresh coconut juice and that the oil I use for cooking also has many other uses many of which you will find in this post…Enjoy! I have been drinking coconut water now for two years. There is a lot of fans out there and there are certain medical sites who agree with some of the claims, but rubbish the rest. Here is what I believe after drinking over this extended period. I buy Innocent which is about the best I have found in taste and I buy from Tesco where they often to two for about 25% off. I find it is usually more expensive in the health food shops and certainly it is not economical to buy the small cartons. I don’t buy the ones that are flavoured or have other additives. As an alternative to fizzy drinks it has less sugar and you can also dilute with water 50/50 so that you can drink it all day if you are out of working in a warmer environment. This entry was posted in coconut oil benefits, Coconut water benefits, Health and Nutrition, Uncategorized and tagged blogging, Coconut, Smorgasbord Health on September 3, 2017 by CarolCooks2. I am delighted to welcome Carol Taylor as my co-conspirator on this project. Most of you are familiar with my Medicine Woman’s larder and Carol and I have teamed up to provide you with recipes to make the most of these amazing foods. 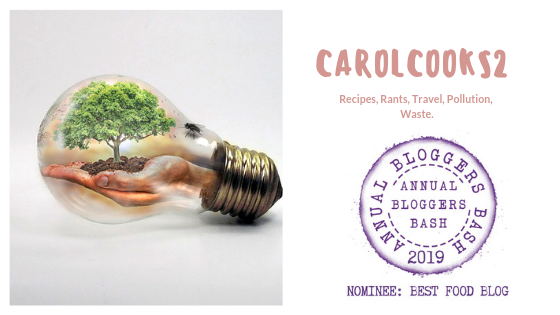 I am providing the ingredients and sharing their nutritional and medicinal properties and Carol is taking them to a whole new level with her delicious recipes. You can find out more about Carol at the end of the post. Today we are looking at the health benefits of one of the most versatile fruits, the banana. Carol has then put together some very tasty way to incorporate bananas into your life. This entry was posted in Bananas, Uncategorized and tagged Banana bread, Banana leaves, blogging, Cooking from scratch, Healthy Eating, Retired! No one told me!, Smorgasbord Health, Walnuts on August 16, 2017 by CarolCooks2.